Sterno Products Culinary Torch. See what each part of the torch is so you can understand how best to use it! This torch has a barrel, safety lock, ignition trigger, collar. The collar screws onto your canister, then turn the gas control until you hear a slight hiss. It's so easy to use! See how simple it is to use the Sterno culinary torch! Try adding this tool to your kitchen to create immaculate presentations with a nice, fired finish. 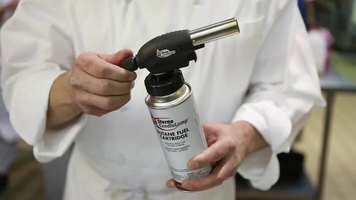 The Sterno Butane torch has a myriad of uses in your kitchen to turn a typical meal or dessert into an exciting experience. See exactly how to use this torch so you can get started using it right away! 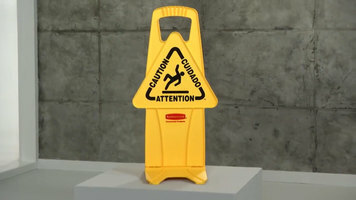 Rubbermaid's safety floor signs are made of light-weight, molded plastic that can easily be stored or transported. Watch this video to learn more about the importance of safety signs! 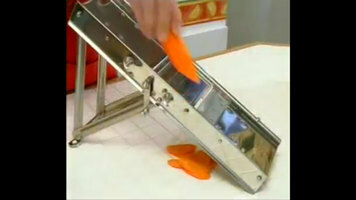 Learn how to use your Bron Coucke mandoline to obtain perfectly sized vegetable slices for any dish you're making!